A non-profit educational resource for architects, consulting engineers and program managers to assist them in maximizing the benefits of the Bridging method for their clients. The site also provides information about Bridging for project owners, construction lawyers, contractors and sub-contractors. 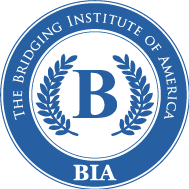 Listed below are the founders of the Bridging Institute of America, all of whom are architects, engineers, program managers, planners, and/or development managers who are experienced in the Bridging method.